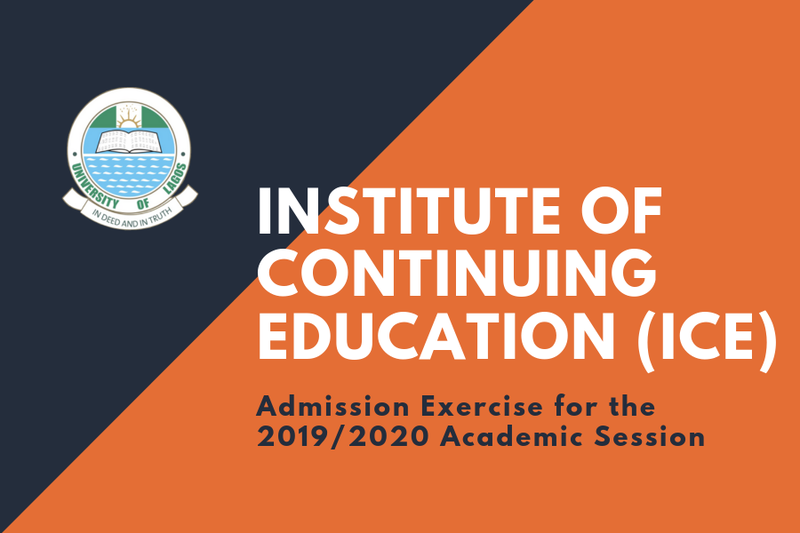 Institute of Continuing Education, University of Lagos (UNILAG), Faculty of Education (Sandwich) Admission Form, Courses, Eligibility, Requirements, Application Guidelines, Entrance Examination Dates, Time and Venue for 2019/2020 Academic Session. All candidates who possess five credit (5) passes in relevant O’Level subjects including English and Mathematics at not more than TWO sittings are eligible to apply. The application will be in two (2) stages: JAMB and ICE (Sandwich) UNILAG Offer of admission into programmes listed above is subject to the availability of qualified applicants. All completed application forms are to be submitted on or before 28th June 2019. There will be no UTME examination for the Institute of Continuing Education (ICE) UNILAG candidates. Log on to JAMB CAP website and register. Step 3: Select ICE (Sandwich) as application type, then provide your Surname, First Name, Middle Name, JAMB Registration Number, Mobile Phone Number and E-mail Address. Step 4: Click the “Pay Now” to pay online the processing fee of N11, 500 (Eleven Thousand Five Hundred Naira only OR Print the payment advice with Remita Number to make payment at any Bank within the University of Lagos. Step 5: Return to the application portal (http://applications.unilag.edu.ng) after payment, click “continue application” enter your payment reference number and your surname in lower case as password. Step 6: Complete all required details and upload the necessary documents. Completed application forms should be submitted online and a hard copy of the completed forms in colour print should be submitted to Sandwich Office, Faculty of Education. Candidates are expected to come to the examination hall with the colour print of their Application Form. Provisional Admission Letters would be ready for collection two weeks after the entrance examination. Tel: 08063925017, 08023418502, 08128256591, 08023338678, 08023388817, 08184602229.